This month, there are 2 displays in the library highlighting Black History Month. 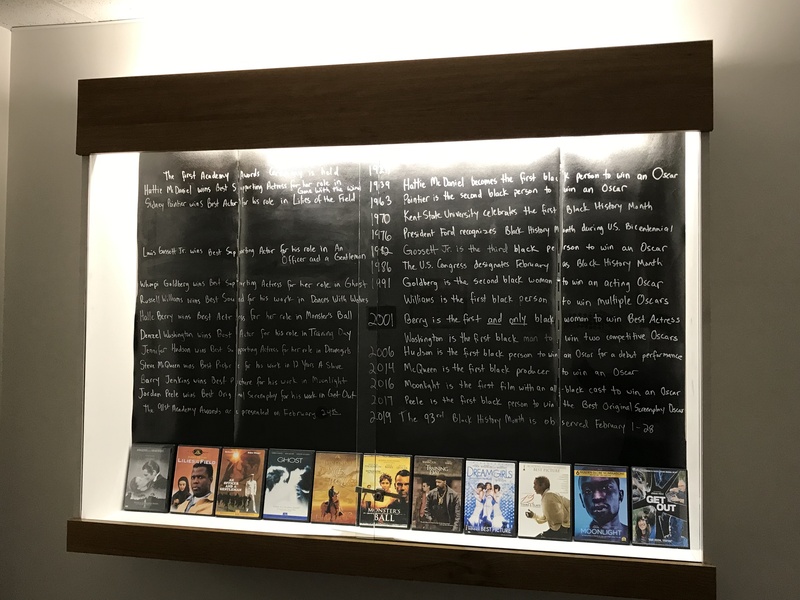 You’ll find a selection of books and music on the 2nd floor, and a film display highlighting Black History Month through historic Oscar winners on the 1st floor. • Copy information (up to 3 libraries) now displays on the brief record results screen. 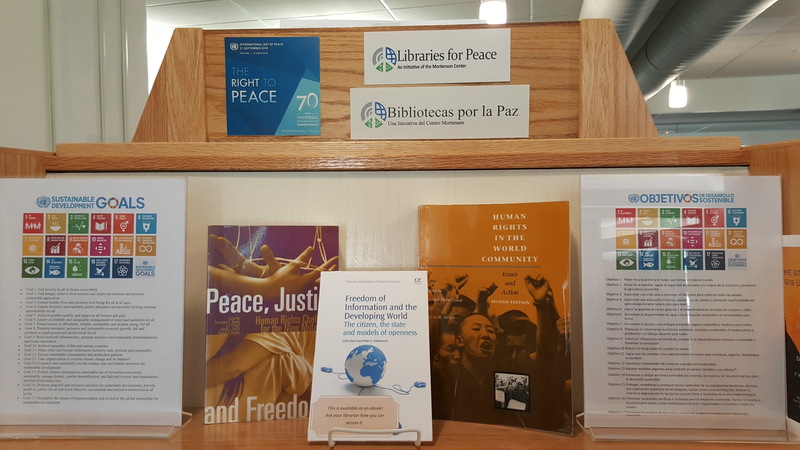 The Dayton Memorial Library celebrates the diversity represented in our Regis community and seeks to create an inclusive environment where everyone feels welcome. In October the library observes Hispanic Heritage Month, LGBTQ History Month, and Disability Awareness Month. We take the opportunity during this month to announce the launching of our reading list on the History of Inequity. This reading list has been curated by the librarians at Dayton Memorial Library as a selection of materials addressing issues relating to diversity, inclusion, inequity, and oppression from across disciplines and decades. Most of these resources are written from a scholarly/academic perspective, and many of these items are intersectional in nature and will fall within more than one category listed here. ITS special downtime 8/25/17 beginning at 8:30 p.m.
ITS has scheduled a special downtime to implement a critical upgrade to the university’s core infrastructure starting at 8:30 p.m. MST on Friday and going through Saturday morning. All services will be unavailable during this time. The library website will be accessible (http://libguides.regis.edu/library), however remote access and electronic reserves will be down. ITS hopes to have all services up by Saturday morning, keep an eye on Regis Today for more information! Posted in databases, downtime/outage, resources | Comments Off on ITS special downtime 8/25/17 beginning at 8:30 p.m. The Prospector catalog is back online. Prospector is temporarily unavailable due to a power outage. We will update this post when access has been restored. The error is caused by browsers beginning to roll out a new security measure; each browser is handling the transition a little bit differently. Chrome has been rolling out this new security protocol fairly consistently while in Firefox the new security measure has been rolled out less consistently. We are not seeing the error in Internet Explorer at this time. Our provider will be putting a fix in place on Feb. 21st. For the links that result in the SD-009 error, the simplest workaround is to use the Journal link instead and then navigate to the volume/issue. While not ideal, you can still get to the full text. We’ve received inquiries recently as to the archiving and preservation of government information – here are some links to government information archives and archival projects.